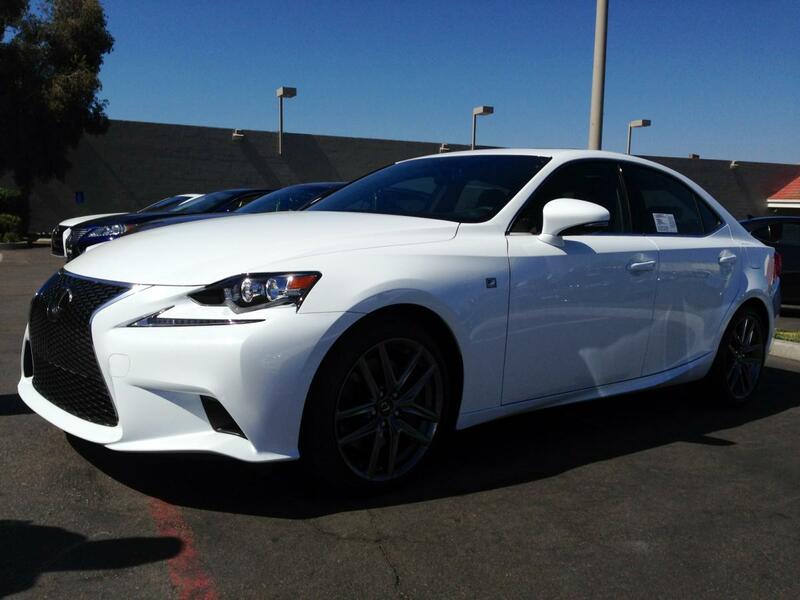 When you get your new 2014+ IS, please introduce yourself and your vehicle here! Last edited by DaveGS4; 07-12-13 at 10:57 AM. Ordered my new IS ! Done it at 1.30pm today. Ordered my new car. 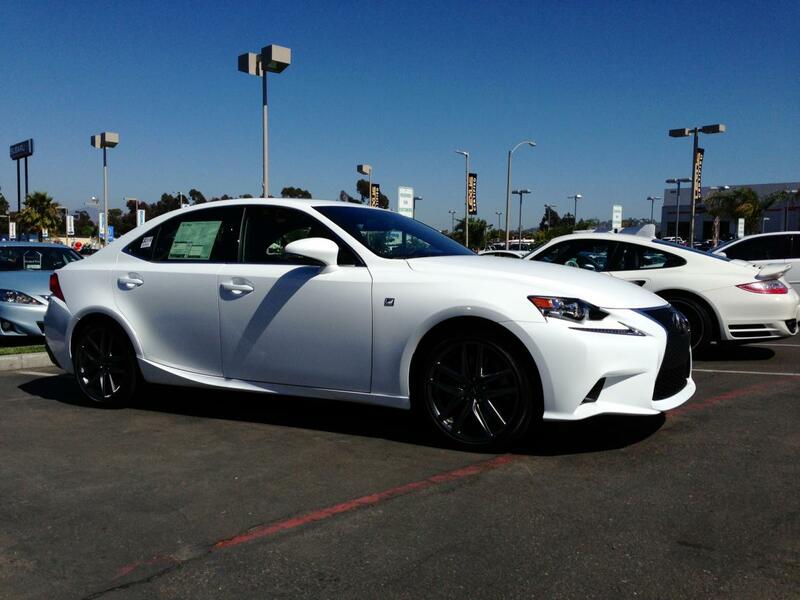 A New Lexus IS300H Premier, in Celestial Black with Ivory Leather and a Sunroof. Can't wait till July for delivery. 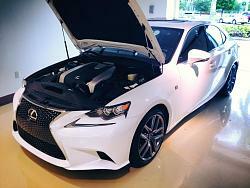 Many thanks to Martin at Lexus Birmingham (UK) who sorted it all out for me this afternoon. I was told late July to early August. 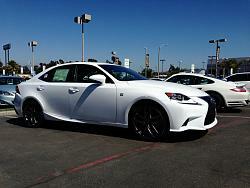 Dave Coccia at Lexus of Warwick, RI, did a great job getting the order in. Lexus has not been so forethcoming with information to US dealers to the point that it seemed that I was more informed than him but he kept hounding his Lexus rep. to get the information needed to complete the order in time to make sure it was part of the first allotment and not delayed. Now for the patience and hopefully Lexus does not change anything for options without informing him of the change and allowing us to modify. I ordered a new IS 300h F-Sport in ultrasonic blue in early april. 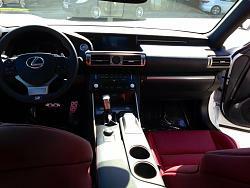 Leather ventilated seats and the ML audio. Delivery july or most probably august. My first Lexus! 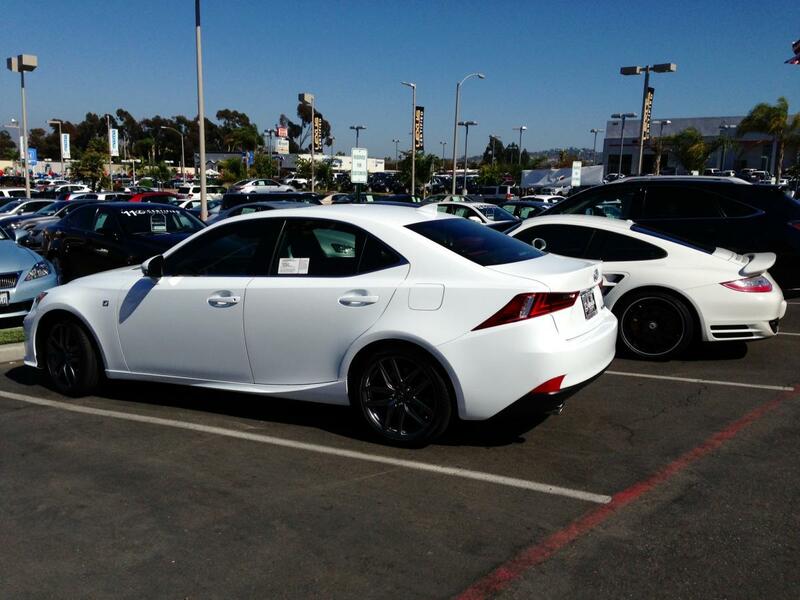 My dealership hounded their Lexus rep. to get the options and allocation information in order to make a sale. They were able to actually enter the order into the computer and send on to Lexus as of last week. It is not a pre-order. If your configuration is available in the current production allocation then your dealer can reserve that car for you. I was told that the cutoff for a special order to be had in the first allocation was May 20th. Otherwise you may be four months out on a special order. Unfortunately I am in Rhode Island and cannot help you with a dealership in California. After first seeing the new IS on a pre showing arrangment at my dealer in february, I pretty quickly pre ordered a car. My official order was placed in the beginning of may. Actually this was a very pleasent expreience, since the dealership managed to let me build a car after my specifications. This is almost unheard of among asian car brands in Norway, where I live. 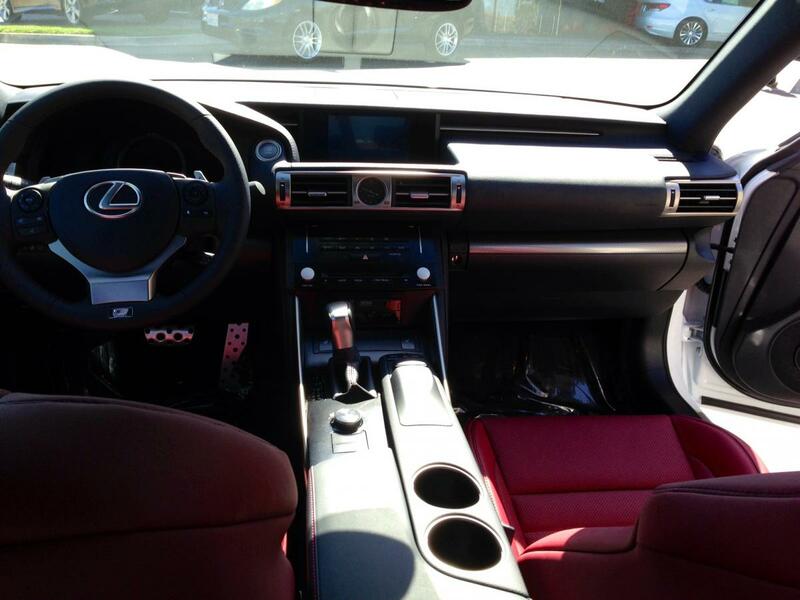 The big deal for me was that I wanted a fully loaded 300h F-sport without the leather seats. The Norwegian lexus dealership managed to make a special order and put together a new equipment package for me, so I ordered the car when this was confimred. Because of my special order, I don't get the car until September. The only trouble I had was choosing the color. I first opted for the Sonic Titanium color. But after seeing all the new pictures that came out, I found that this color did not suit the F-sport in my eyes. So I druled a bit on both the Ultrasonic Blue and F-sport white. But since I do a lot of detailing and is picky as h*** with the paint on my cars, I ended up with silver. White is impossible to keep clean, and since the norwegian winter is about 6 months of slush\snow with a lot of salt added, the white would never be clean. I really wanted the blue, but having had three shiny blue cars previously, I know how hard it is to keep the paint looking nice. All stone chips and small scratches are viseble on blue paint. Since the car is a daily driver, and not a show car, I ended up with silver. So I'm now looking forward to september and beeing the owner of a 300h F-sport. Just got word from my dealer that my car is finished and on a ship on it's way to Norway. If the weather is ok, it will be here july 5th and ready for me to pick up sometime after the 15th. A month *before* I expected! Congratulations on the upcoming delivery. Now we can all hope for an early arrival on our vehicles. I ordered a 300h Luxury [Sat Nav/black Leather] (black metallic) from Lexus Belfast in Northern Ireland. Delivery expected "late July". First Lexus, actually first anything-other-than-Volvo! Hybrid is hard to beat as a business purchase in the UK. 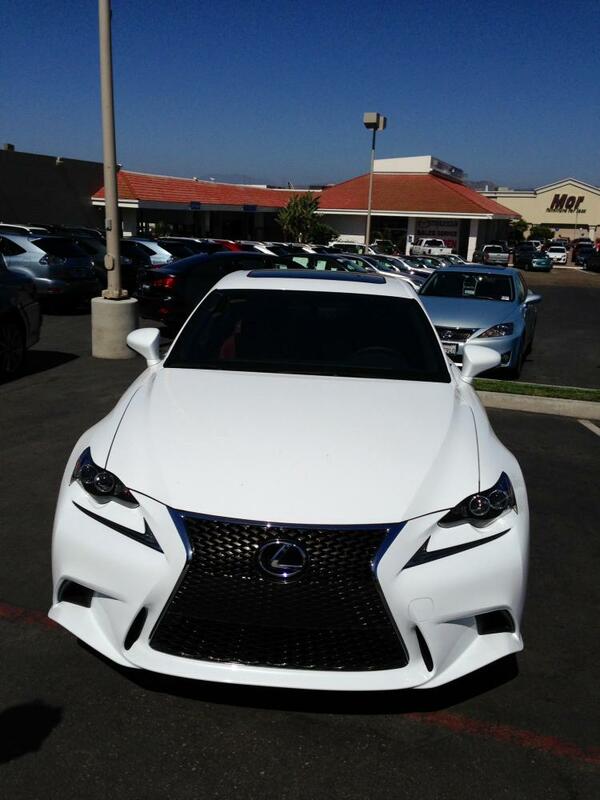 Have a White IS350 F-Sport, black interior on order with Package 1 (Moon Roof). Hi.. new owner of a 2014 IS250.. first time owning a lexus. I will refrain from asking questions right now.. as I have 1 million of them.. and will go over the forum.